#1: What is your must-have tech gadget? As boring as it sounds: my smartphone. I have everything in that thing, my whole life in digital format. It’s my phone, my camera, my bank, my newspaper… I have my emails and social media and the contact info of all my friends and family. Losing my wallet or car keys would be nothing but a slight inconvenience, losing my phone would be a disaster! My phone is an LG G4 with the brown leather case. It’s 2 years old and still runs perfectly. The leather case is also ageing really well, a bit of patina only makes it prettier imo. I’m going to keep this phone as long as I can. #2: Which House do you belong to in Hogwarts? Heh, I’ve talked about that before. I lean more heavily towards Ravenclaw, and it was also my house of choice before Pottermore – but I have been sorted into Slytherin before and I do have a thing for that house. I want to say Slytherclaw, but if I had to pick one of the real houses I’d go with Ravenclaw. #3: Who is your favourite Doctor? #4: If you could have dinner with any fictional character, who would it be? Zaphod Beeblebrox from Hitchhiker’s Guide to the Galaxy. It would probably be crazy entertaining! :D Also, I’d probably want to kill him before the night was over, so one dinner sounds like the perfect amount of time. #5: What is your gaming system of choice? PC Master Race! ✊ Actually, I’m not a rabid PC gamer or anything, I just dislike having a bunch of different systems and devices when I can have just ONE machine playing (almost) everything. Most of the games I play are made for PC anyway. My boyfriend, on the other hand, likes consoles and we have several in the house. I rarely play anything on them other than Legend of Zelda and a bit of Mario Kart, though. #6: If you had a superpower, what would it be? #7: What is your favourite fantasy world? Middle-earth of course. It’s mostly a rather grim place, but that’s part of the reason I like it. Its history and myth tell not only of the rise of great heroes and kingdoms but also of their fall. It’s beautiful and melancholic and above all whole. The source material is so extensive and thorough that when reading it you get a sense of reading actual history books. Despite the fantastical elements it just feels like a real place, or at least like it could be. #8: If you could be any fictional race, what would you be? My not-as-boring choice would be a Sylvari from Guild Wars 2. They are a cheery, curious, and adventurous race of plant people. They are also absolutely beautiful and come in every colour of the rainbow. #9: Star Trek or Star Wars? Star Wars. To be honest, I’ve never really watched Star Trek. #10: List your top 5 geektastic movies or TV shows. #11: List your top 5 video games. I saw this on Adastra’s blog (and of course she got the tag from you! ), so naturally I came to see what you’d written! I probably don’t have enough geekiness to answer some of the questions, so I may not do the tag, but I did find a few things where we would have overlapped. Ten is my favourite Doctor too, though I have only watched seven seasons from the new 2005-onwards season. 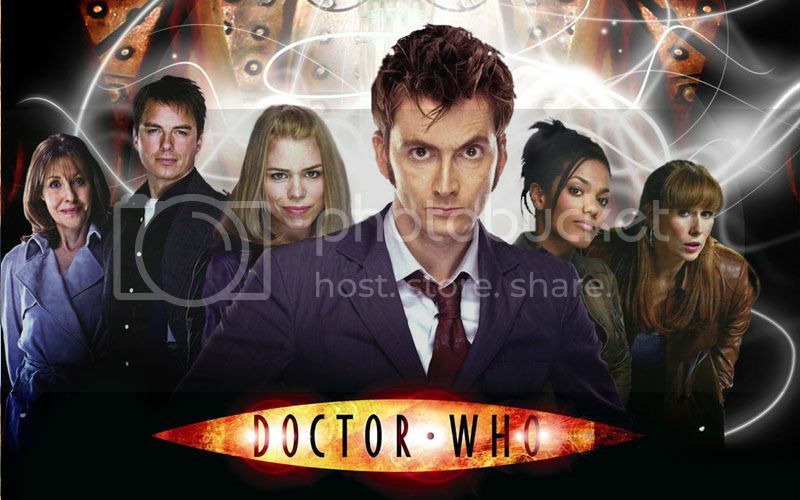 I actually didn’t like the Bad Wolf arc that much, but I do think it was amazing. My favourite was the fifth season with the crack in the wall. I feel like I’m so typical, lol. I don’t really follow Harry Potter but I got sorted into Ravenclaw! ? I think it fits me pretty well, though I did feel that Hufflepuff did too. I’ve also never watched Star Trek, haha. The lot of these references went over my head. ? I used to get upset because I’d always be sorted into Hufflepuff or, more commonly, Slytherin. I didn’t know much about Hufflepuff—I didn’t read the books, so all I had to go off were the movies. Ten is my favourite “New Who” Doctor and 7 (Sylvestor McCoy) is my favourite for the older seasons as he was the Doctor I grew up watching. Other fandoms I love are Buffy, Firefly, Star Wars and Star Gate. I was sorted into Ravenclaw on Pottermore too! A phone has become so much more than it used too. It will be interesting to see where this goes in the future. If we rely on them more or less. I can absolutely see you as a Ravenclaw! Although, you are always welcome into Slytherin as well. ;) Bwahaha. Some questions are wayy out of my league. But as for the Harry Potter question I eould pribably be Hufflepuff. If I had a superpower it would be like you said healing or being invisible.